Spirit Guide or Something Else? In some traditions, a person's spirit may remain about the living world to help guide other people. This entity is known as a spirit guide. While the concept might be foreign to some people, it is common in Native American, Chinese and even Egyptian traditions. Spirit guides range from to humans who have passed on to energy forms that have never existed as a human being. Spirit guides are typically benevolent, offering wisdom from beyond the veil. Spirit guides are known for helping people to make new connections with others who benefit their lives, helping people come into money and even introducing people to books to help believers in their journeys. In some western cultures, a spirit guide is literally an ancestor of the family, watching over descendants. The Disney movie “Mulan” pictures a group of spirit guides that send Mushu the dragon to help the young woman along her journey. Mushu can be seen as a spirit guide, but it is technically Mulan's ancestors who are spirit guides in the truest sense of the phrase. While not all faiths officially recognize the idea of a spirit guide, some spiritual people nonetheless believe in the concept under a different name. Some Christians, for example, recognize their spirit guides in the form of a Heavenly angel or a guardian. The term “guardian angel” may be used interchangeably with “spirit guide” for some people. These guides may take on a human appearance or may appear similarly to winged angels as depicted in religious texts such as the Bible. 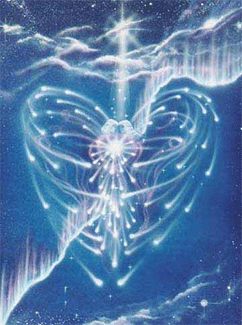 In beliefs such as Reiki, an Ascended Master is a specific type of spirit guide who lived a good life on Earth. Buddha and Krishna are examples of this type of guide, and the masters continue helping humans after leaving behind their own corporeal forms. In some blended belief systems, Jesus may even be an Ascended Master. According to some beliefs, a person who has to repay their karmic debt may become a spirit guide. Karmic debt refers to the strikes accrued against a person for living a life that is less than pure or good. It is only after the guide has repaid his karmic debt that he is able to fully move to the spirit world. Just like humans have different levels of self actualization, spirit guides achieve different levels of ascension. Through guiding humans, a spirit is able to ascend more highly, which ties into the idea of repaying a karmic debt. In other beliefs, a spirit guide exists to help a human who is close to death pass to the other side of the veil. Humans who are sick or elderly but who cannot accept that death is near due to fear of death or regrets can find the strength to let go and move on with the assistance of their spirit guide. Many times, a spirit guide portrays a specific role. For instance, a spirit guide may be a warrior, medicine woman or storyteller. These roles are important to cultures that believe in spirit guides while the person is alive, and the spirits remain in a position of respect after passing. Even for people who are not Native American and who do not share the beliefs of those cultures, spirit guides may take the form of a Native American person. Connecting to spirit guides may not take place in a back-and-forth discussion. Instead, people accept direction from their spirit guides by learning to read signs. Some people attribute gut feelings, instinct or intuition as intervention from their spirit guides as well. When a new person comes into your life, it may be at the discretion of your spirit guide. Other times, spirit guides may intervene by “nudging” a person in the right direction. This may occur as losing keys and running late or catching the early train only to find an opportunity for a new job from a stranger on a train. While some people prefer a direct connection to their spirit guides, most people believe that spirits cannot interact exactly as humans do. To recognize the influence of a spirit guide, believers recommend getting in tune with gut feelings and intuition. Keeping a journal can also help to track the influence of a spirit guide in your life. Looking back over random occurrences or events that seem accidental can reveal a pattern that is indicative of activity from your spirit guide. 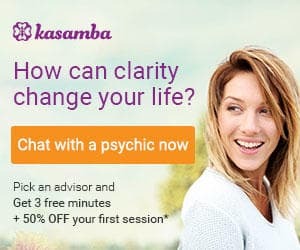 Spirit guides are there to help you achieve personal growth, so asking for something frivolous such as winning the lottery is not beneficial to communicating with your guide. Instead, you may choose guidance to make a big decision about moving or accepting a position at work. Your spirit guide may not tell you what to do but may instead provide you with the tools that allow you to make the best decision for yourself. Many people find that writing a list of goals helps them commune with their spirit guides. In fact, you may find that this practice simply helps you to answer questions or reveal insight that you've been looking for before you actively seek out your spirit guide. Two methods that many people find helpful for communing with spirit guides are through dreaming and meditation. A meditative state can be achieve by clear your mind and letting go of thoughts, which allows your spirit guide to connect with you. Dreaming isn't a conscious action, but it may be easier to communicate with your guide while you asleep, especially if you have difficulty with meditating. Dreams incorporate a lot of symbolism, to investing in a dream dictionary can help translate messages from your spirit guide. Not everyone is sensitive enough to the spirit world to detect the presence of a spirit guide. People who wish to make contact with a spirit guide may contact a spiritual leader or a psychic to facilitate that connection. Many psychics have reported firsthand accounts of contact with guides from the spirit world. Spiritual practitioners from India, Tibet and the United States have all reported connections with personal spirit guides. Sylvia Browne, the American psychic who recently died, was so close with her spirit guide that Ms. Browne called her guide Francine. However, you should be wary of false psychics who pretend to connect with your spirit guide only to swindle you. Pay attention to your own instincts. If something doesn't feel right, your spirit guide may be trying to warn you away from a scammer. Some people have experienced spirit guides who remain with them for their entire lives while others have temporary spirit guides who pop in and out when needed. This may be due to the fact that spirit guides may guide multiple persons at once. Some believers view people as having a “panel” of spirit guides, enabling various guides to assist, lead and teach humans in their journey through life. Some people question whether the signs they've experienced come from a spirit guide. Perhaps it's just wishful thinking. If you think you've been contacted by a spirit guide, consider whether the influence seems to come from inside you or from an outside force. If it's something that you wish to happen, it may not be a spirit guide. However, people often feel a gentle push in a certain direction when their spirit guide is at work.